April | 2014 | Crystal Water Villas Blog - Lake of the Ozarks! 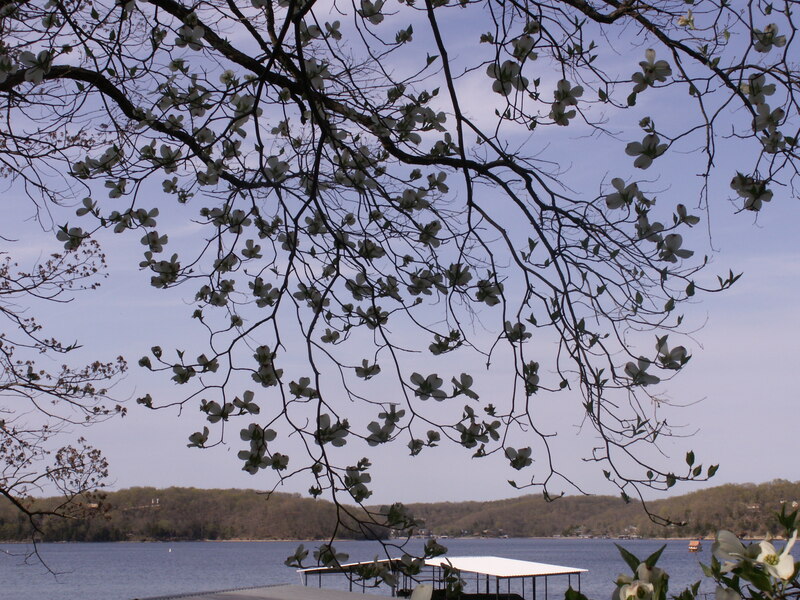 Dogwood trees are a real treat and beauty at the Lake of the Ozarks. We snapped a few photos the other day of them in full bloom! The name “dog-tree” entered the English vocabulary by 1548, and had been further transformed to “dogwood” by 1614. Once the name dogwood was affixed to this kind of tree, it soon acquired a secondary name as the Hound’s Tree, while the fruits came to be known as dogberries or houndberries (the latter a name also for the berries of black nightshade, alluding to Hecate’s hounds). Another theory advances the view that “dogwood” was derived from the Old English dagwood, from the use of the slender stems of its very hard wood for making “dags” (daggers, skewers, and arrows). Another, earlier name of the dogwood in English is the whipple-tree. Geoffrey Chaucer uses “whippletree” in The Canterbury Tales (“The Knight’s Tale“, verse 2065) to refer to the dogwood. A whippletree is an element of the traction of a horse-drawn cart, linking the drawpole of the cart to the harnesses of the horses in file; these items still bear the name of the tree from which they are commonly carved. Regardless of WHERE their name came from, they are beautiful year after year! 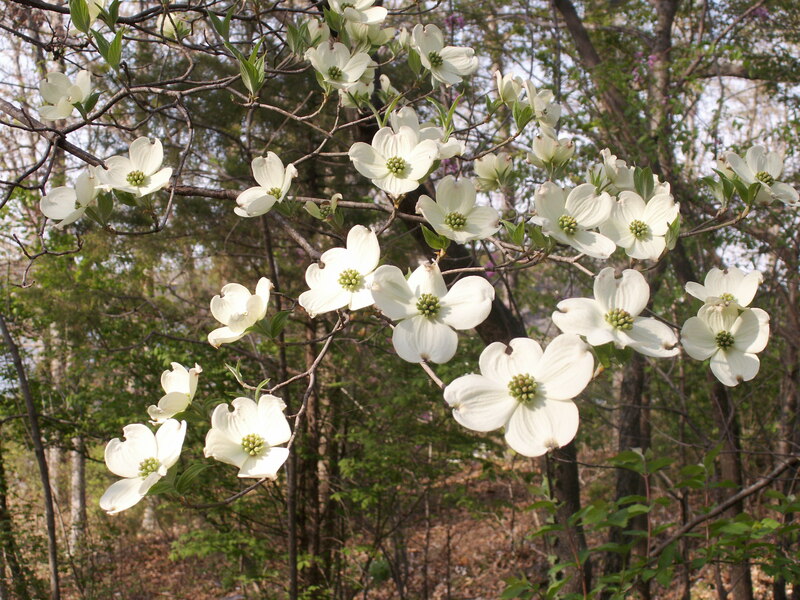 Do you have any photos of dogwood trees? Share them with us on our Facebook page! 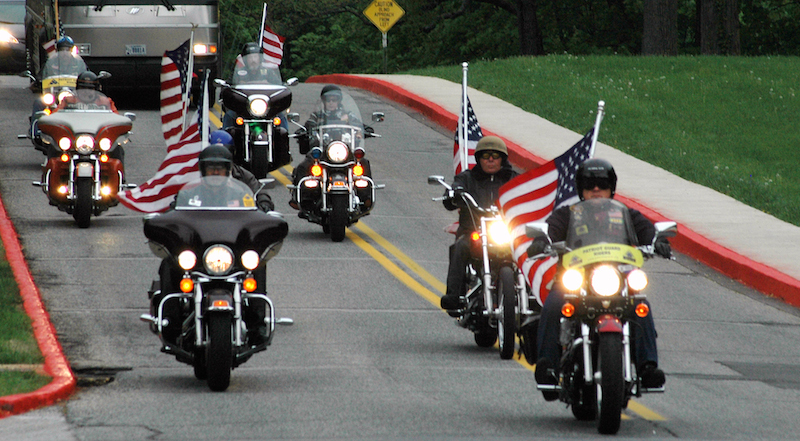 We want to welcome all of the Missouri Patriot Guard riders to the Missouri Patriot Guard Motorcycle Rally at the Lake of the Ozarks this June! It’s a beautiful time of year to be at the lake! If you need comfortable lodging and plenty of room to park your motorcycles, we have many vacation rental homes just for you. 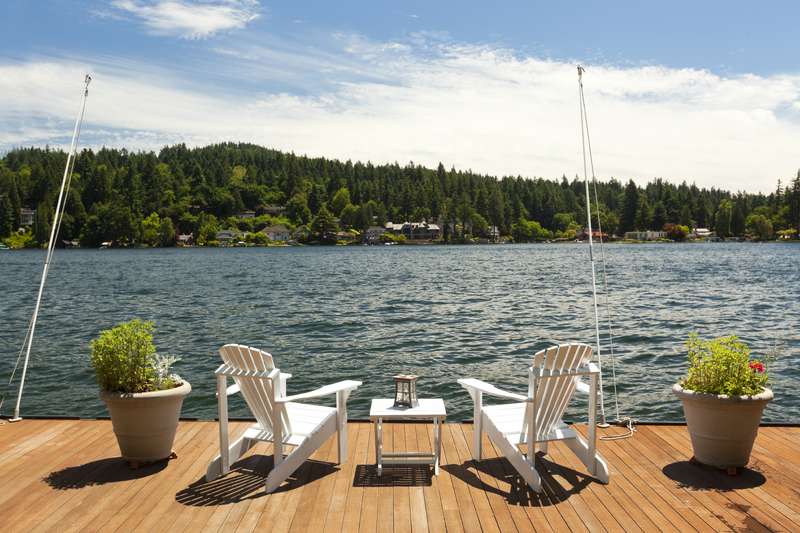 Take a moment to browse our vacation rental properties here and don’t hesitate to give us a call with any questions — 866-273-2169. Also, if you book online, instantly save 5% when you book between June 27 – July 4th. Use the code: RALLY to save!